I have a photograph that sits on my dresser. 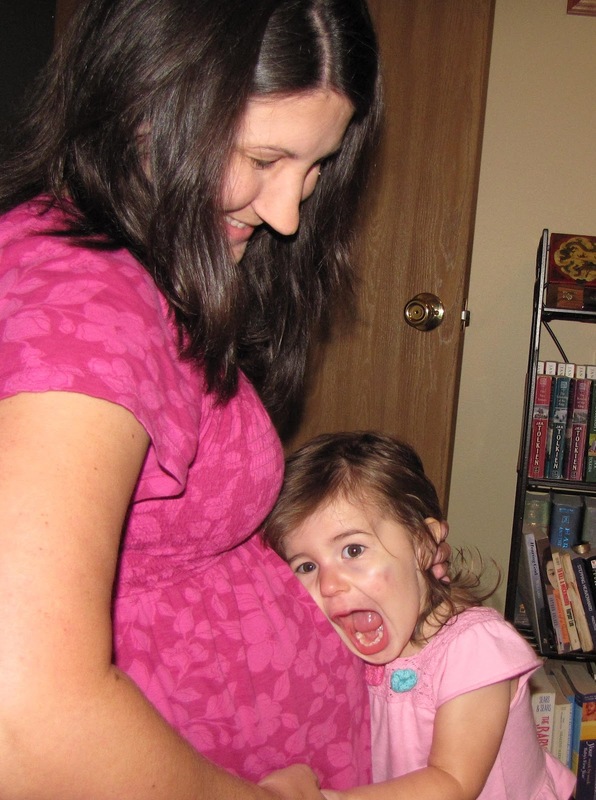 In this photograph, my then-two-year-old daughter is giving an exuberant hug to my crammed-full-of-baby-sister tummy. Her arms are wrapped around my belly as far as they will go, her sweet face is all squashed up against my belly and I am laughing with joy at her excitement. I have another photograph that could sit beside the first. 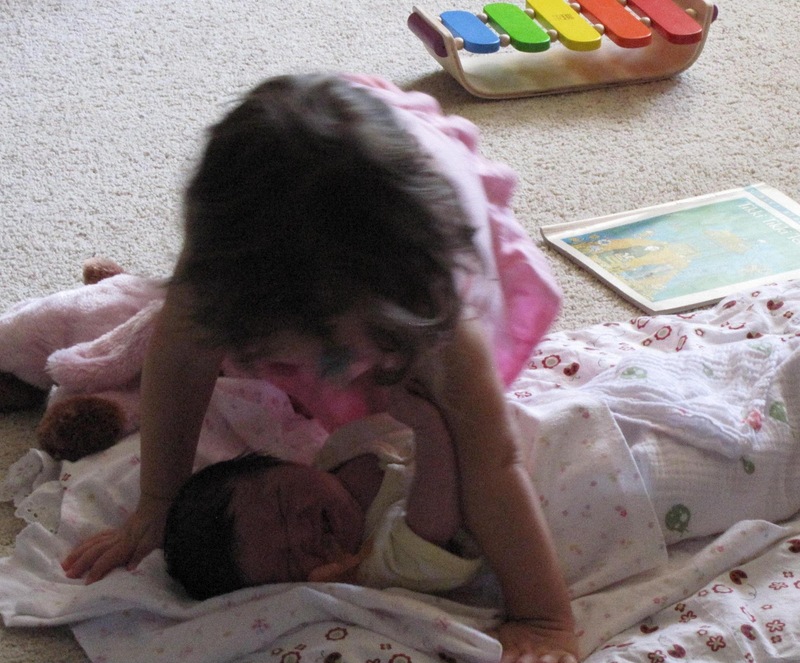 In this photograph, my then-two-year-old daughter is lying on top of her now-two-month-old sister, trying to squash her and steal her pacifier, while baby sister is crying with pure frustration. Ah, the fickleness of a child’s love! My eldest daughter was so excited about becoming a big sister. She talked for months about how much she loved her baby sister, how she couldn’t wait for baby to arrive and how she would give baby sister so many hugs and kisses. Then her baby sister arrived and reality came crashing into her world. The first time I gave baby the attention that my eldest claimed for her own, that previously professed love disappeared as quickly as a child when bedtime is near. I like to think that I, as an adult, am able to show a much more pure kind of love to all those around me. I want to believe that I am capable of giving true love, a perfect sort of gift-love, if not to everyone, then at least to those who are most important to me. Like my eldest duaghter, however, the gift-love I am capable of giving shines best when captured by photographs. SnapThere I am making my husband’s favorite meal for supper tonight. Snap Look at me! There I am taking the time to walk with my kids to the park for a fun morning of play time and a picnic lunch. SnapIn this one, I’m making a meal for a dear friend who just gave birth to a baby boy. If you look at me in the space between those snapshots, however, I’m ignoring my husband when he gets home from work, snarling at my girls when I am tired and avoiding the friend who is struggling with her past for the pitiful reason that I don’t know what to say. Ah, the fickleness of an adult’s love! 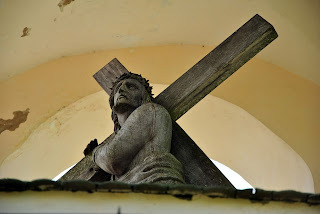 I struggle to understand the true nature of gift-love. Ask anyone on the street and they would say that they desire to be loved. I don’t really comprehend what that means, though. I don’t know what that looks like. What doesit look like to be loved beautifully, perfectly? I begin to look around me for insight, for glimpses that will help my heart to know what love really is. SnapMy husband gives up certain advancements in his career in order to give me and his daughters more of himself and his time. SnapMy parents give up a needed vacation so that they can support their son as he grieves for his wife. SnapI watch my brother love and care for his young wife who is dying of cancer, giving up all thought of doing anything for himself. As I watch and tuck away these photographs of memory, I begin to see a strand that connects them all. Each of these moments of perfect love seem to involve sacrifice, a denying of self. I start to wonder: is this what is required for love to be real, for love to be true? For love to be perfected, must the lover give up something of great importance? The truth of this seems a little clearer when I think about my children. Other than my love for my husband, my love for my children is the closest thing to a perfect gift-love that I am able to give. With my children, I do not expect anything at all in return for my love, my service. Especially while they are young, I know that I must love them even when the gratitude I receive in return for my love is a tantrum in the supermarket. It is when I start expecting something in return from them, when I expect obedience or even a simple “thank you”, that my gift-love fails and those photographs of love turn into the blank in-between space of ugly actions and thoughts. Still, I do expect something in return. I expect to be loved in return for loving them. I begin to think that perhaps this is why it is so hard to love consistently. I need love for myself too much to be able to give love perfectly to anyone else. Authentic love is unconditional yet I can’t live without the love that I receive from those around me. Those snapshots of perfect love that I tucked away seem to include a forgetting of self, a giving without expecting anything in return, an open-handed gift even if a close-handed gesture is the return. The imperfection of my love creeps in when that cannot be sustained. It seems that, as much as we may desire otherwise, we can only have snapshots of that real love because we all must receive as well as give. We need to be loved in order to give love perfectly. It seems that what we need is someone to love us who doesn’t need us at all. Perhaps this is why those photographs of perfect love are so beautiful, so cherished, so longed for…because, at least among humanity, they are the exception rather than the rule. They draw us out of the smallness of ourselves and into something bigger, something greater. Those momentary photographs show us a glimpse of the joy and contentment that could be ours in a perfect sort of gift-love. It seems a difficult thing, but perhaps with time, more of the pages of my life can become filled with those beautiful photographs of perfect gift-love with less blank space in between.